Providing exceptional veterinary care at affordable rates to south Ottawa for 30 years, Billings Bridge Animal Hospital was founded in 1986 and has grown from a small one-doctor practice in a strip mall to a busy 4-doctor practice in a 2,100 square foot stand-alone building at the corner of Lamira Ave and Rooney's Lane. Due to a low staff turnover, our animal hospital has a long tradition of building lasting relationships with you and your pets. We are knowledgeable, caring and always respectful. Our experienced vets will explain your options in a thorough manner and will never perform unnecessary tests or procedures. Dr. Douglas Hopwood was born in Jamaica and raised on a farm. He grew up working with cattle, pigs, chickens and dogs. He came to Canada in 1998, finished high school in Elmira, ON, and then went on to the University of Guelph. 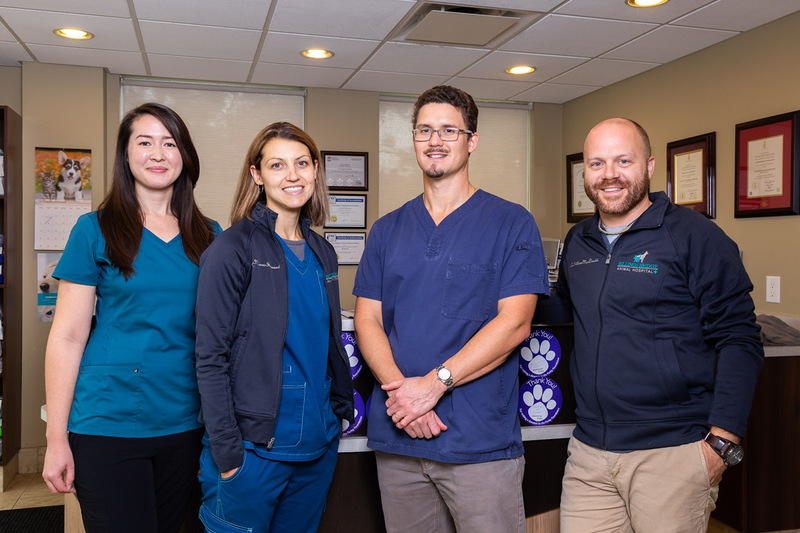 He graduated from the Ontario Veterinary College in 2005 and worked in rural mixed practice in Kirkton, ON, before joining the Billings Bridge Animal Hospital in 2008. He became a partner in 2012 and the sole owner in 2013. In his free time, he likes spending time with his wife and two sons. When time permits, he enjoys tennis, swimming, hiking and a variety of outdoor activities. He has a shaggy little Shih Tzu-Yorkie dog named Minnie. Dr. MacDonald was born and raised in Charlottetown, Prince Edward Island. He attended the University of Prince Edward Island where he received his Bachelor of Science (Honours) in Biology, as well as his Masters of Science in Biology. Following a year of post-graduate research, he continued his education at Atlantic Veterinary College where he received his Doctor of Veterinary Medicine. He enjoys yoga, cooking, baseball, science and is particularly fond of Royal Gala apples and the colour green. He currently resides in Nepean with a Golden Retriever named Hero. Dr. Mijanou Hopwood (née Lamoureux) was born and raised in Ottawa and attended St. Pius X High School. She grew up with Siamese and Oriental Short Hair cats as well as a Terrier cross as pets. 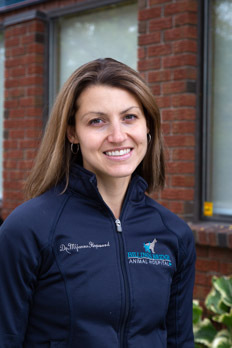 After completing 3 years of a Bachelor of Science degree at Carleton University, she attended the University of Guelph and graduated from the Ontario Veterinary College in 2006. She returned to Ottawa after graduating and worked in both emergency medicine and general practice. She has a special interest in emergency medicine and both orthopedic and soft tissue surgery. Working part-time while raising 2 young boys keeps her very busy, but any free time she has is spent first and foremost with her family (both human and canine). She also enjoys martial arts/kickboxing, running, and any other activities that keeps her in the great outdoors. Indoors, she enjoys baking, particularly with bananas, as she cannot get enough of the fabulous fruit! Dr. Ha was born and raised in London, Ontario. She grew up always having pets, and knew from a young age that she wanted to be a veterinarian. Dr. Ha followed her dreams and graduated from the Ontario Veterinary College at the University of Guelph in 2016. In her free time, she enjoys travelling, cooking, and spending time with her husband and their Pekingese-Chow mix, Leo.